Changes in federal government keep coming fast. That’s why GovLoop gives you monthly recaps of federal news that may affect agency management and employment. If you’ve fallen behind, check out the previous recaps. By the time you read this, there will undoubtedly be new developments. Also, this roundup can’t include everything. The focus is on federal news most relevant to government employees. Check out the linked sources for more information to stay on top of the latest news in government. Even though these monthly summaries are about news affecting the work that happens inside agencies, there were a few headlines too big to ignore. Envelopes containing a substance initially thought to be the toxic compound ricin were mailed to the Pentagon, Trump and Senator Ted Cruz’s office. No government employees were harmed, and a suspect has been arrested. The Senate confirmation hearings of Supreme Court nominee Brett Kavanaugh are delayed while the FBI investigates allegations that Kavanaugh sexually assaulted Christine Blasey Ford and other women. Earlier in the month, Trump’s former campaign chairman Paul Manafort agreed to a plea deal and will be cooperating with special counsel Robert Mueller’s investigation. Trump signed a “massive” $854 billion spending bill, avoiding a government shutdown through at least December 7. The Military Times reported that the bill provides a 2.6 percent raise for military members beginning next January. Federal employee and retiree health insurance premiums will increase by 1.3 percent in 2019, the lowest increase since 1996. The U.S. trade deficit jumped 9.5 percent to $50.1 billion, a five-month high. The federal government will spend $390 billion in interest on its debt next year, a 50 percent increase over 2017. The administration cut funding for the “navigator” organizations that help people enroll in Affordable Care Act health insurance coverage to just $10 million this year. The New York Times published an epic 14,000-word investigative story (and a much shorter summary) alleging Trump engaged in fraudulent tax schemes. The New York State Department of Taxation and Finance is reviewing the allegations. ProPublica reported a “collapse” in the number of tax fraud cases the IRS pursues, resulting in $125 billion lost business taxes every year. According to Yahoo News, to pay for detaining an increasing number of migrant children, the Health and Human Services Department diverted millions of dollars to the Unaccompanied Alien Children (UAC) program in the Office of Refugee Resettlement (ORR) from other programs, including “$16.7 million from Head Start, $5.7 million from the Ryan White HIV/AIDS program, and $13.3 million from the National Cancer Institute” and “programs dedicated to mental and maternal health, women’s shelters, and substance abuse.” The Trump administration announced a new rule allowing the indefinite detention of immigrant children with their mothers. MSNBC‘s Rachel Maddow reported that the Trump administration transferred $169 million from the Federal Emergency Management Agency (FEMA), the Coast Guard and other agencies to Immigration and Customs Enforcement (ICE) to pay for the detention and removal of undocumented immigrants. The Washington Post reported that 80 percent of Puerto Ricans rate Trump’s response to Hurricane Maria negatively and characterize the “lackluster response to the hurricane…[as] due to a failure of government at all levels.” FEMA ended housing assistance for 987 American families who had to leave Puerto Rico after Hurricane Maria, and BuzzFeed News reported FEMA has approved only 3 percent of applications for help to pay for funeral costs related to deaths due to the hurricane. Trump denied the now official count of 3,000 deaths due to the hurricane. The EPA inspector general determined the agency “had no proper justification for spending more than $3.5 million on round-the-clock security for former head Scott Pruitt.” Education Secretary Betsy DeVos’ round-the-clock security detail is projected to cost up to $7.7 million next fiscal year. The Guardian shared an excerpt from Michael Lewis’ new book, The Fifth Risk, that tells the story of Trump’s “bungled presidential transition,” including the firing of the entire transition team and hundreds of transition briefing meetings that never happened. The New York Times published an anonymous op-ed by a senior administration official who claimed that most high-level staff in White House and agencies are part of a secret resistance “working to insulate their operations from [Trump’s] whims” and running a “two-track presidency” rather than invoking the 25th Amendment to remove Trump from office. Uzra Zeya, a former State Department official, wrote an article for Politico about the Trump administration’s “exclusion of minorities from top leadership positions in the State Department and embassies abroad” and the importance of “rebuilding a State Department that looks like America.” According to a new report by the Joint Center for Political and Economic Studies, the top staff at the U.S. House of Representatives are 85 percent white, compared to 38 percent of Americans and 23 percent of House members themselves. The Department of Veterans Affairs (VA) released data showing that about 11 percent of jobs at the VA are unfilled. Meanwhile, the VA inspector general determined agency officials have “significantly understated” the backlog of benefits claims by the nation’s veterans. The Environmental Protection Agency (EPA) announced plans to dissolve its Office of the Science Advisor (OSA) and merge it with the Office of Research and Development. In a statement to the New York Times, an EPA spokesperson wrote it would “eliminate redundancies.” Soon after, The Washington Post reported the OSA’s science experts had been left out of the EPA’s development of a major science policy proposal. The Associated Press reported that “foreign government hackers continue to target the personal email accounts of U.S. senators and their aides,” yet the government has refused to provide staff with technical support to protect non-official accounts. A Freedom of Information Act-fueled investigation reported by BuzzFeed News revealed the “chaos” and “confusion” that erupted at the Defense Department after Trump unexpectedly tweeted about banning transgender troops in 2017. William McRaven resigned from the Pentagon’s Defense Innovation Board just days after he wrote an op-ed in The Washington Post criticizing Trump for revoking the security clearance of former CIA director John Brennan. EPA inspector general Arthur Elkins Jr. stepped down from federal government service for a job as inspector general of Washington Suburban Sanitary Commission in Maryland. NASA hired Holly Ridings as its first chief flight director. She is the first woman to hold the job. The Senate confirmed Charles Rettig as commissioner of the Internal Revenue Service (IRS). CBS News reported many Democrats voted against Rettig “to register their concern over the new IRS policy” that reduced donor disclosure requirements for some nonprofits, a move which some advocacy groups contend allows “dark money” to influence U.S. politics. Elad Roisman was confirmed as a member of the Securities and Exchange Commission (SEC), bringing the commission up to its full five members. Cherith Norman Chalet was confirmed as the U.S. representative for United Nations Management and Reform. Also confirmed: Charles Verdon as deputy administrator for defense programs at the National Nuclear Security Administration (NNSA) at the Energy Department; Lisa Porter as a deputy undersecretary for research and engineering at the Defense Department; John Whitley as an assistant secretary of the Army for Financial Management & Comptroller; Jackie Wolcott as the U.S. ambassador to the United Nations’ International Atomic Energy Agency and as the U.S. representative to the Vienna, Austria, office of the United Nations; ambassadors to the Democratic Republic of the Congo, Ghana, Kosovo, Kyrgyzstan, the Maldives, Moldova, Montenegro, Nepal and Sri Lanka; several district judges; and more than 100 people on foreign service lists. Note: This article not an opinion about or endorsement of any policies, regulations or orders, nor of the behaviors of elected officials, political appointees, government employees, other individuals, organizations or agencies. 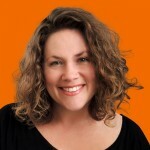 Lauren Girardin is a marketing and communications consultant, freelance writer, and trainer based in San Francisco. She helps organizations engage their communities and tell their stories. Her website is laurengirardin.com and you can connect with her on Twitter at @girardinl.